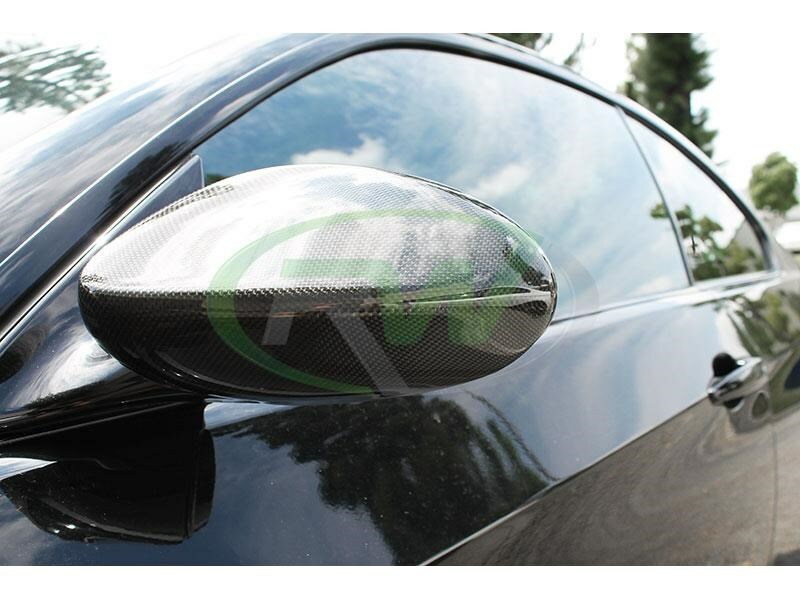 If you consider yourself a carbon fiber buff then don't miss out on these easy to install, BMW E92/E93 Carbon Fiber Mirror Cover Replacements. These CF mirror covers fit 2007-2009 E92/E93 328i and 335i applications. They feature real 3K plain weave carbon fiber twill weave overlay. 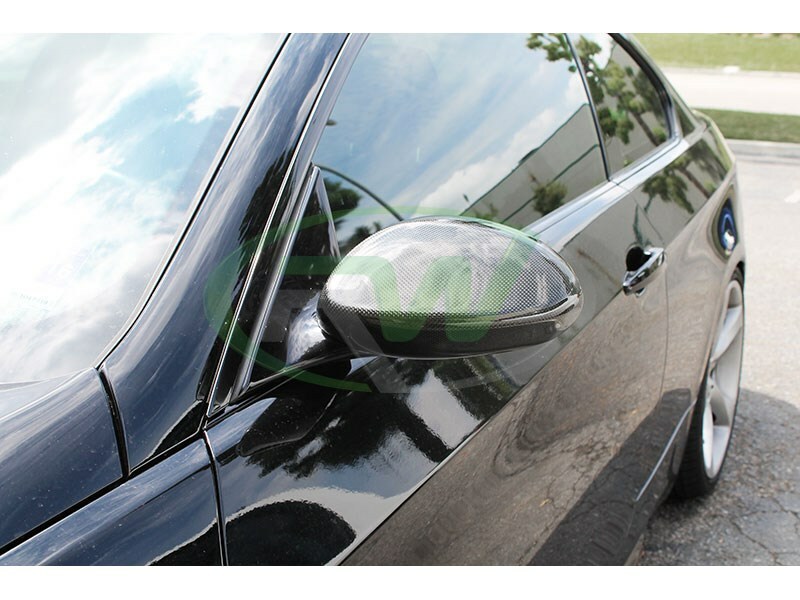 Installation for these BMW E92/E93 Cfarbon Fiber Mirror Covers is fairly simple, the existing mirror covers will need to be removed and these replace them, with great fitment guaranteed. To ensure they do not discolor or chip from road debris they are finished with a special epoxy resin. Choose RW Carbon for your E92 and E93 exterior carbon fiber parts. 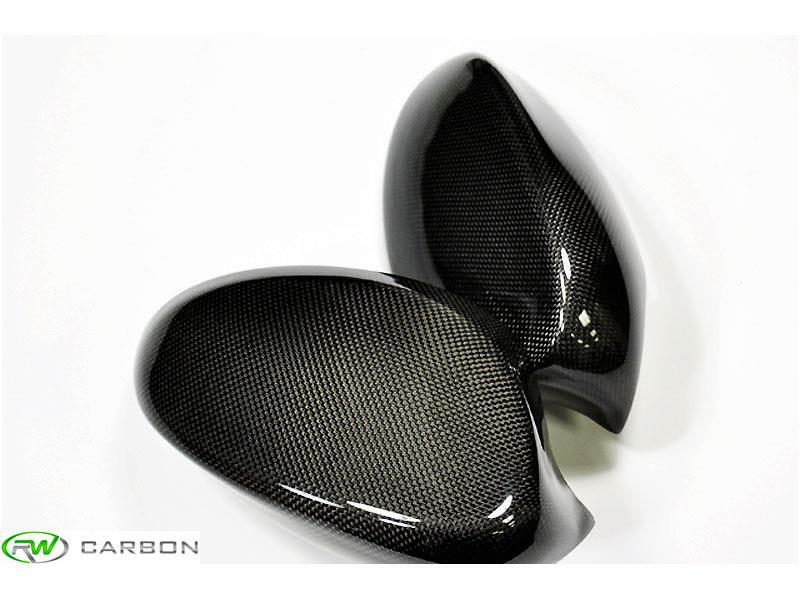 These mirror cap replacements in carbon fiber for the BMW E92 and E93 will replace your OEM painted housing and re-mount using the same mounting locations. We are aware of the large amount of companies claiming to have the best accessories for your E92 or E93. At RW Carbon we take the time to quality control every single piece that ships from our warehouse. When you order from many companies online they are shipping a product straight from overseas that has not been quality controlled. If you order one of these parts you could receive a part that is damaged, has scratches, or overall poor fitment. By choosing RW Carbon we make the promise to deliver you a consistent, quality set of grilles that is shipped from our Southern California location. Additionally, all products shipping from our warehouse are meticulously inspected, and packaged to ensure you receive the best possible carbon fiber item for your BMW.